Have you heard of Flippa.com? It’s a website where people can trade websites. 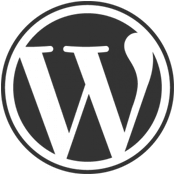 I like to check this marketplace every now and then, as there are some fairly high profile WordPress plugins/themes/blogs for sale there every now and then. First things first, this isn’t yet another article talking about how essential it is to be active on Twitter or bid on various publicly available gigs on the internet. I’ve really kind of had it with this type of advice. In 2013, it’s bringing nothing to the table and I highly doubt that any freelancer would consider it useful at this point.